A complete system which simplifies interaction and communication between the school and guardians. SchoolLink Messenger is a complete messaging system which simplifies the interaction and communication between the school and the guardians. SchoolLink Tracker is a student management system that offers a more efficient operation with monitoring of after-school activities (ASA). SchoolLink Kindergarten gives your kindergarten a complete and user-friendly system for communication between parents and the kindergarten. SchoolLink is a messaging system which simplifies the interaction and communication between the school and parents. The system replaces some traditional forms of communication, such as school letters, SMS text messages and emails. It forms a secure and easy accessible link between the classroom and homes. The school will establish a be­tter overview of students that having all communication with parents in one place. This enables teachers to allocate more of their time on teaching. Teachers will access the system by logging on to a website or through mobile applications. The applications are available for iOS as well as Android. Teachers will be able to send all types of information and announcements which has previously been sent through manual forms of communicating. The system enables the teacher to view who has read the messages, making the teacher able to ensure that the parent has received the message. Parents will download and install a mobile application on their smartphones. Apps are available in appstore (iOS) or Google Play (Android). Parents without internet access may access the system through the web or receive text messages. Parents use the mobile application to receive messages from the school as well as registering absences and consents. SchoolLink has been developed by using open source code. It is provided as a SaaS service. The system has been built with focus on the highest standard of security and safe data storage. Usability has been important from the start and both the website and the mobile applications have easy-to-use interfaces. SchoolLink supports all imports in standard formats such as IMS, CSV and XLS. SchoolLink Tracker is a student management system offering schools a more efficient operation and monitoring of the after-school activities (ASA). The system reduces the time spent on paper work significantly, enabling the school staff to spend more time with the children. SchoolLink Tracker gives the staff more security in terms of visibility and status of where each student is located and enhances and streamlines communication with parents. SchoolLink Tracker has been developed with a responsive web design which means that the website can also be used on tablets and mobiles. The system has logs to ensure control and traceability when school staff make registrations as well as when changes are being made in the system. The system is easy to use and requires no training. Parents can register an absence message, register pick-up messages, provide consents and send messages to the after-school activity system through web or via a mobile application (iOS and Android). 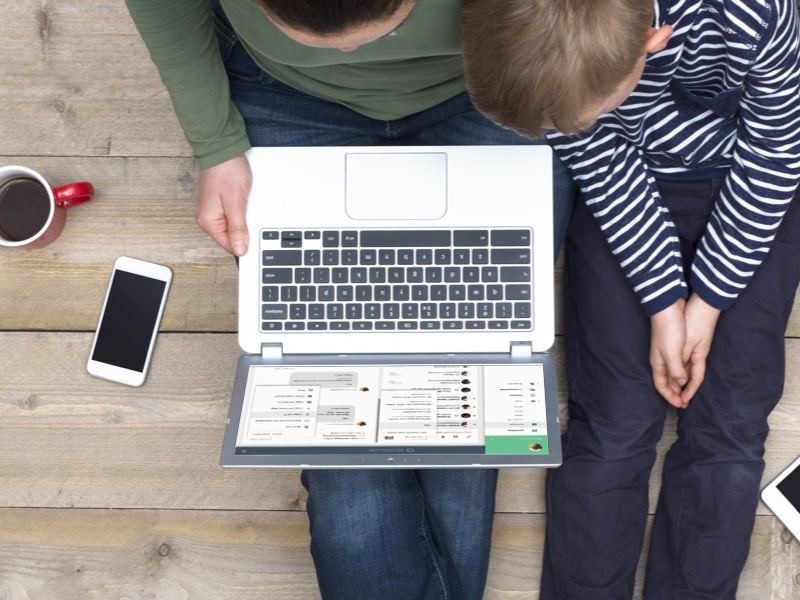 SchoolLink Tracker can send push notifications automatically to the parents when the students are picked-up or leave the after-school activity. SchoolLink Tracker has been developed by using open source code and is provided as a SaaS service. SchoolLink Tracker is often used in combination with SchoolLink Messenger. If your school uses SchoolLink Messenger, parents will be able to use the same mobile application for both school and after-school activities (ASA). SchoolLink Kindergarten gives your kindergarten a complete communication system where the child’s parents are involved through a user-friendly mobile app. Events in the kindergarten are documented and will help the employees keep a high quality of operations. SchoolLink Kindergarten is developed by using a responsive web design allowing the system to be used on tablets and mobile phones. The system reduces time spent on paper work and messaging enabling employees to spend more time together with the children. The system records all events giving an unique traceability and control. Easy to register events such as meals, sleeping, changing of diapers etc. Parents will get an unique overview of the child’s activity in the kindergarten all will have all relevant information gathered in one place. The system can notify the parents when additional clothes or diapers are needed. Parents can report absence and pick-up messages from their mobile phones. SchoolLink Kindergarten has been developed using open source code. It is provided as a SaaS service. The system has been built with focus on the highest standard of security and safe data storage. Usability has been important from the start and both the website and the mobile applications have easy-to-use interfaces. SchoolLink supports imports in standard formats such as IMS, csv and xls. For municipalities, which uses SchoolLink in schools as well as kindergartens, guardians will be able to see both students and kindergarten kids in the same mobile app. 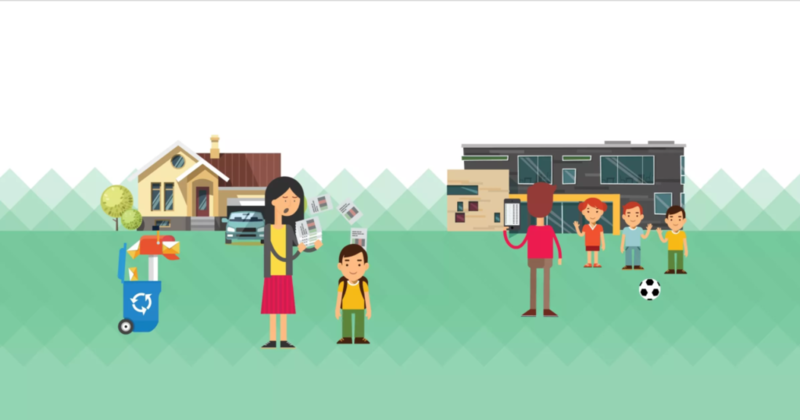 By 2015, the municipality of Trondheim decided that all their schools would have to get rid of the ransom post and at the same time make a solid boost in communication with the home. Here, SchoolLink, also known as “Report Book” in this case, was chosen as a solution for over 50,000 users. The schools are well in the process of rolling out the service that will be in place throughout the municipality before the summer vacation. So far, feedback from teachers and parents has been entirely positive, and SchoolLink is experiencing ever-increasing demand from both municipalities and single schools around the country. Contact us today to learn more about how to get out of SchoolLink at your school or kindergarten! Whether you would like to arrange a FREE DEMO of SchoolLink, or if you need more information about our products, please feel free to get in touch with us. Fill in the form below and we will get back to you as soon as possible! SchoolLink has been developed by the Norwegian IT company Netpower AS. Netpower was established in 1995 and includes 60 dedicated employees, all passionate about technology and innovation. The head office is located in Stavanger, while the company also have offices in Oslo, Bergen and Ho Chi Minh City, Vietnam. SchoolLink is a key focus area for Netpower. New functionality is continuously added to SchoolLink in close cooperation with our customers. 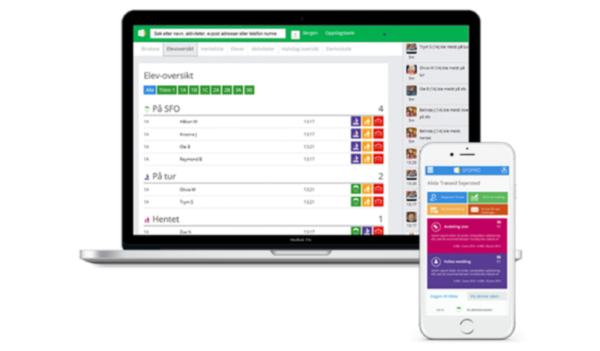 SchoolLink is also known as “Meldeboka” in Norway and is used by schools in Trondheim Municipality.